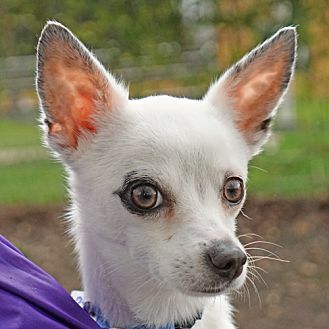 ARF | Dogs | I'm Pluto, Adopt Me! Three-year-old Pluto is sweet, polite little guy. He is a little shy at first, but given some time, he will climb into your lap for pets. He would be a good fit for a mellow family that can give him lots of love. Pluto has a positive history with other dogs. He currently weighs 8 pounds. Pluto's adopter must be at least 18 years old with valid state-issued identification. ARF encourages family members to participate in the adoption process, especially children and family dogs. Please visit ARF's web site for information on adoption and to view more cute canines. [description] => Three-year-old Pluto is sweet, polite little guy. He is a little shy at first, but given some time, he will climb into your lap for pets. He would be a good fit for a mellow family that can give him lots of love. Pluto has a positive history with other dogs. He currently weighs 8 pounds.